Does anyone know who the people pictured are? 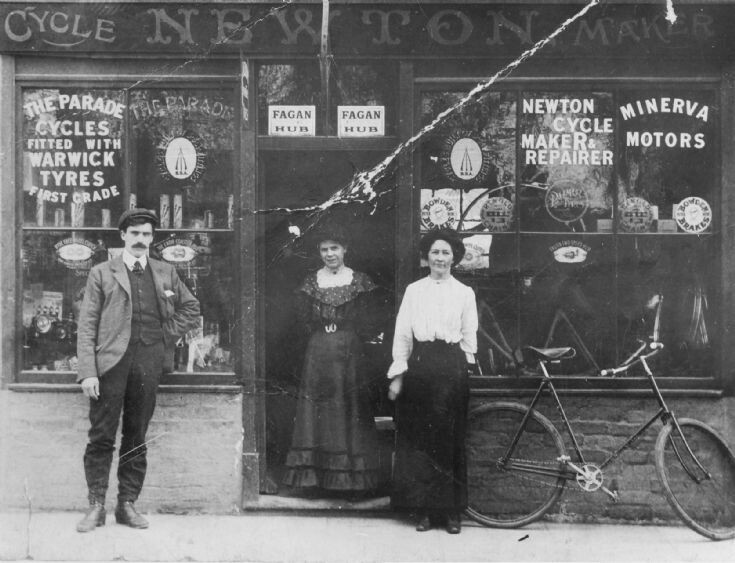 I have a very good idea that it is James Newton and his wife Florence Annie Newton, my Great Grandparents. In the 1911 census they own this shop. Is this photo at the same place as Angelos restaurant as it is today? ?